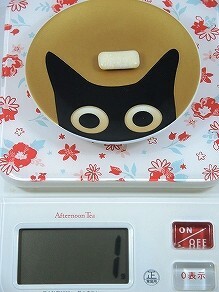 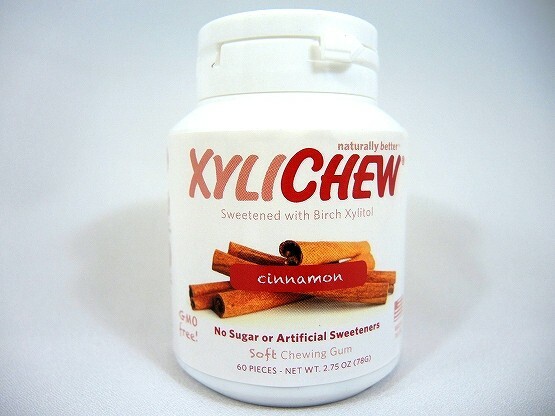 Ingredients: Xylitol, gum base, vegetable glycerin, natural cinnamon flavors, gum arabic, sunflower lecithin, carnauba wax. 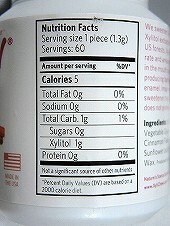 Produced in a facility that also produced soy. 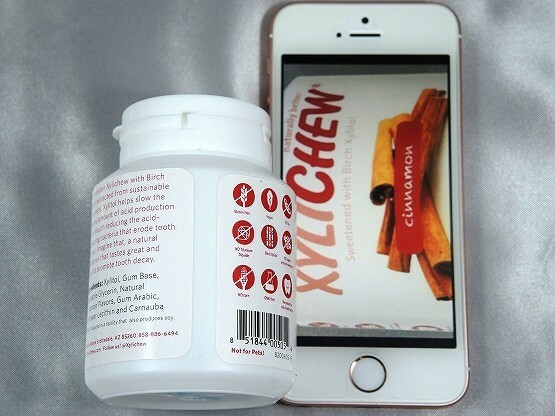 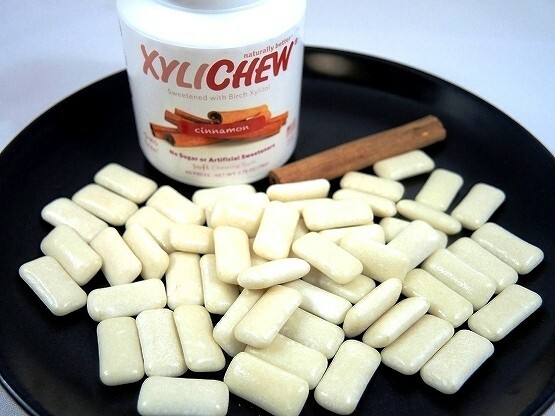 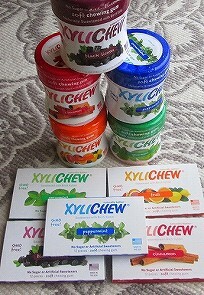 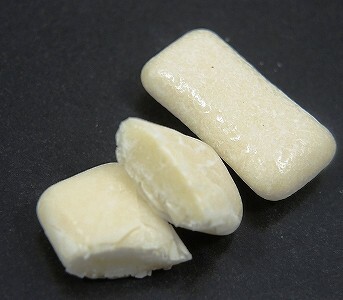 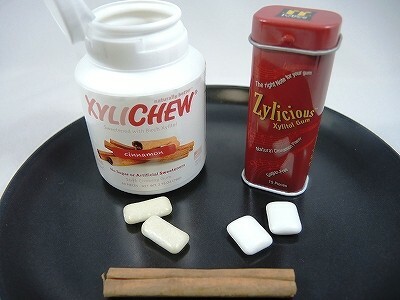 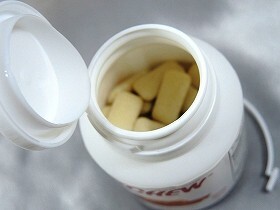 We sweeten Xylichew with Birch Xylitol extracted from sustainable US forests. 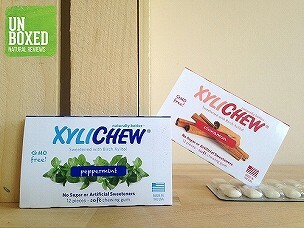 Xylitol helps slow the rate and amount of acid-production in the mouth reducing the acid-producing bacteria that erode tooth enamel. 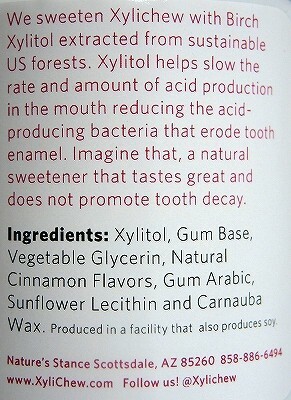 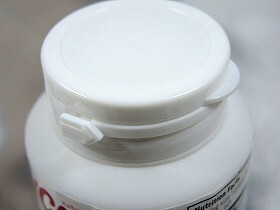 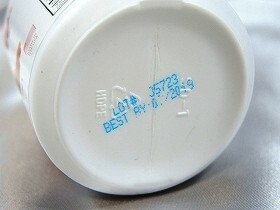 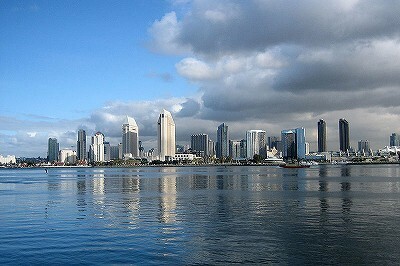 Imagine that, a natural sweetener that tastes great and does not promote tooth decay.